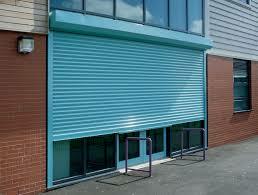 Roller shutters are some of our most in-demand products. We fit them to external and internal doorframes. We also see high demand for them to protect loading bays or secure shopfronts. They’re also used to secure serveries (and add a second layer of protection to valuables in businesses that use them) and even windows. We’ve sold countless roller shutters over the years, including standard dimension rollers and those we build to order. More importantly, though, over the course of these sales we’ve heard what our customers want and what they worry about. Over and over we’ve heard from customers who want the reliability and support of an electric roller shutter, but who don’t have the slack in their budget for the electrical motor over a manual option. Technology marches on, and as a security company we pay close attention to those developments. How else could we design and supply the equipment our customers need for physical security? As electric motors become more effective, motors powerful enough to drive shutters have come down in price and in size. Their control systems are also getting cheaper. The result is that delivering electric roller shutters built to a high standard, giving you the security you need, is cheaper than ever. We know how important it is to our customers to make the upgrade. We also know how important it was to those who had to pass up the chance earlier. We’ve worked hard to be able to deliver what you need at the lowest price possible. If you’ve been put off by price before, get in touch now. Our team will listen to your needs and get you a quote. We take security very seriously because we know you do, too.